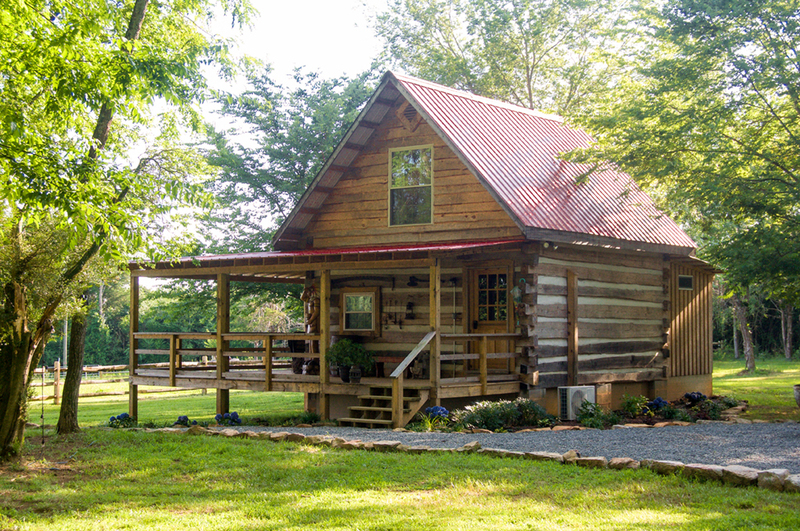 Constructed from logs with hand-cut half dovetail joints and traditional mortar chinking, when you stay in the Hunters Retreat you can step into the past and experience what it was like to live in a log cabin without sacrificing the modern conveniences. The King Size bed welcomes the weary traveller and waking up at Springfield is always a joy. You can step outside and enjoy a morning coffee on your own private patio looking at at the front fields and the Belted Galloway cows.